In a nerve-wracking finish STAR managed to keep Launch’s Kate Fletcher from the President’s Office by only 14 votes. Many in the STAR camp must now be contending with real angst for the future. In contrast to last year, STAR was not on the back foot, there was no urgent preference deal made with Left Action, no sense of panic at the aggressive and proactive Launch campaign, nor was there any flooding the ballot. In fact STAR ran a characteristic campaign which has consistently returned healthy margins these past 6 years. STAR had in-depth policy for each portfolio, a comprehensive candidate list (even exceeding Launch in number), an experienced team of Office-bearers, booth turnout higher and better prepared than Launch, and even the STAR old guard showed up for moral support and general hackery. And yet despite this Conrad Hogg only barely made it across the line, with other STAR Office-bearers having far reduced margins than previously enjoyed. The first causality of STARs drop in primary vote was the Public Affairs Council Presidency, with students electing Nitin Narula over Basundhara Dutta. The results of NUS and OGC will take some time, but if Launch repeat last year’s stronger preference flow there is no guarantee of a STAR majority on Council. If we turn to the numbers we can see that since 2013 STAR’s first preference vote has been in decline. 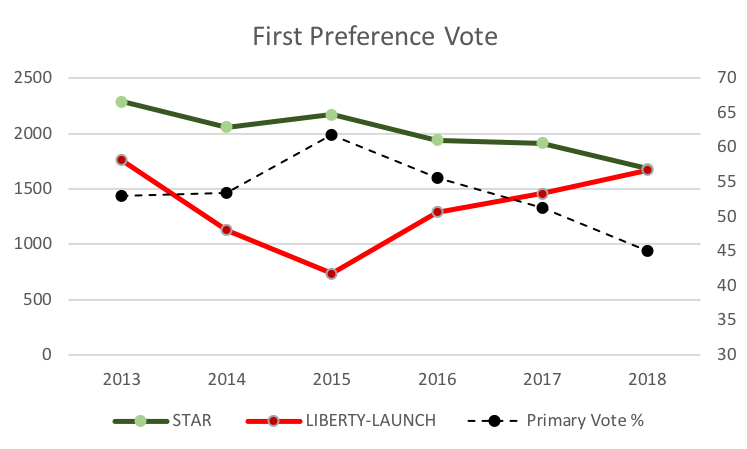 [Figures are drawn from the UWA Student Guild Facebook page and the WAEC election website] What kept STAR winning election after election was the dramatic drop in the Liberty turned Launch vote beginning in 2014. Looking at the STAR primary vote as a percentage, we can see that STAR was consistently above 53% until last year when it dipped perilously close to the 50% mark (51.23% for the Owen Myles out there). So what could be driving this decline in STAR vote? In the first instance we can see by the voting behaviour in the last two elections that the Presidential candidate may be partly responsible. 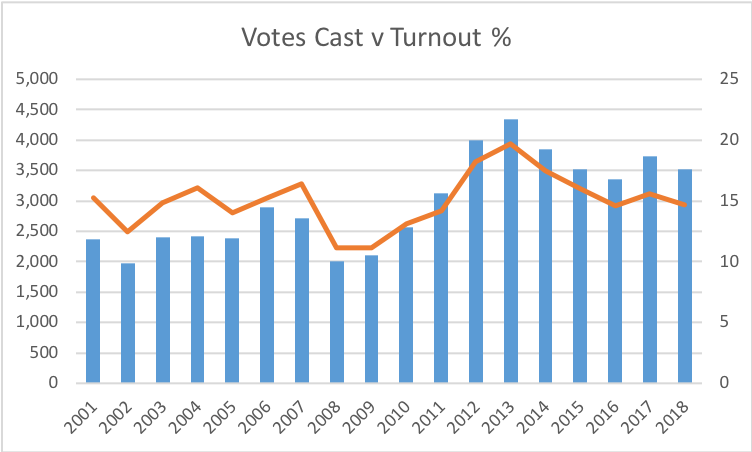 Since 2013 the Guild President has traditionally had their percentage of the vote be the median across the Office bearers – that is their vote translated into the average vote received for the Office-bearers. The past two elections have seen the STAR Presidential candidate underperform the ticket by 5%. Indicative I would argue with dissatisfaction in the Presidential candidate, where votes for the STAR team have not translated into votes for the President. The causes for this disparity potentially include internal STAR conflict, a poor public image or the candidates not being as ‘quirky and relatable’ as previous Presidents. Secondly, without a doubt the rebranded Liberty to Launch ticket has increasingly become competitive. In 2015 the newly branded ticket suffered a crushing defeat, but its focus as a non-aligned ticket with a positive populist message provided the framework for its current success. The populist policies such as $10 jugs, $2 middies and changing the route of the 950, have all been effective in distinguishing Launch and STAR, albeit not without some controversy. Launch have also capitalised on a previously unengaged segment of the student population in mainland Chinese students. 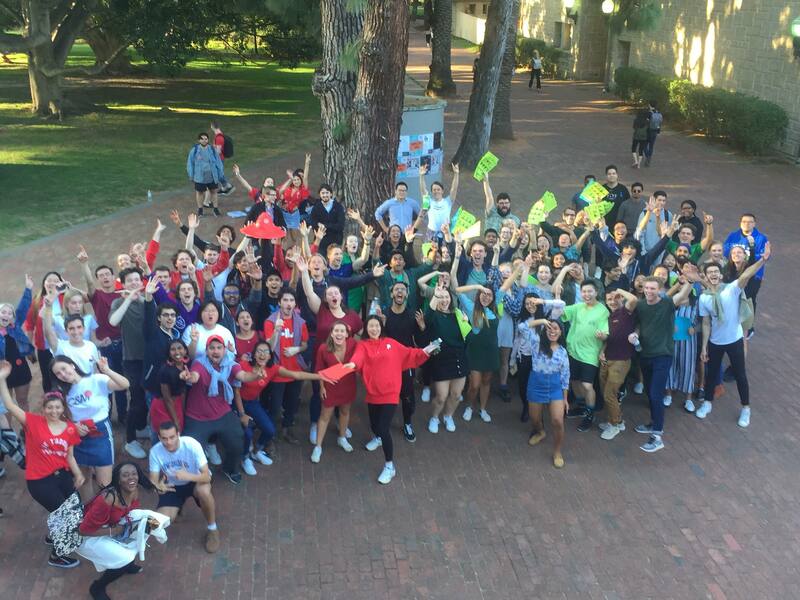 The International Student Service Department falling to Launch last year is a testament to the voting power this bloc of students can deliver. Finally, Launch has employed anti-incumbency campaigns expected from an opposition ticket, including ‘Save Campus Culture’ and ‘STAR’s failure to communicate 12 week semester’. Cumulatively, the rebrand into a populist positive ticket away from a Liberal aligned anti-NUS ticket, engaging Chinese students and running scare campaigns have seen a resurgence in the Launch primary vote and demonstrate resolutely that Guild elections are not won on policy but on a few key issues and friendship circles. What must be concerning STAR, on top of the Launch resurgence, is the fact the turnout has been decreasing from a high in 2013. This voter decline coupled with a rising Launch vote indicates that these lost votes are bleeding away from STAR and not equally from both tickets. **Please note the above graph may have slight inaccuracies, the figures were drawn from the old WAEC website which listed total turnout, where total turnout was unavailable the graph used the total votes cast for President. Additionally, it is hard to know the exact number of eligible voters (ie Guild members) in a given year and therefore we have approximated using UWA statistics on student population. The end result is this: STAR needs to change course if it hopes of winning the next election. It is clear now that Launch is a viable ticket, only one BNOC (approximated at 150 votes) away from becoming the incumbent party. The reliability of the old campaign machinery which has underwritten STAR success is seriously in question. What will be required to remedy the decline of STAR is hard to say. The first thing is to acknowledge that STAR faces a threat greater than the individual circumstances surrounding one election – that is the party must recognise the greater trend. The next step might be to review why there has been some disenchantment from some within STAR, why have people dropped out and some even willing to run with the other party. Has the culture it promises, of positivity and inclusivity been as robustly defended as is made out? Looking further, perhaps it is time for STAR to demonstrate the full potential of the Guild with a larger campaign committing all of its Office-bearers and communication tools to remind students why the Guild exists. There is a reason we look back to Sue Boyd’s protest to get the underpass built as an icon of Guild and student power. Another step may be to review how the STAR presidential candidate and office-bearer selection process is undertaken, the current process seems to encourage the creation of small cabals which lead to internal tension ultimately weakening STAR unity. These are merely a handful of the potential options available to the new generation of STAR. A new generation of STAR that will have to grapple with this, or risk seeing STAR fall to Earth and become a party whose dominance of student politics at UWA is but a memory.